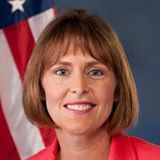 Nominations are earned based upon each student’s interview with U.S. Rep. Kathy Castor’s nomination committee, their individual academic record, extracurricular activities and leadership qualities. TAMPA – U.S. Rep. Kathy Castor, D-Tampa, today (Dec. 4) announced that 27 high school students have received her official nomination for admission into the nation’s military academies: Air Force, Navy, Army and Merchant Marine. Receiving a nomination to our nation’s military academies is a vital step towards being appointed and attending the academies. Nominations are earned based upon each student’s interview with Castor’s nomination committee, their individual academic record, extracurricular activities and leadership qualities. Because of the stringent application requirements, most students begin preparing for their application as early as their first years of high school. All U.S. military academies, except the Coast Guard Academy, based upon U.S. law, require a nomination from their Congressional representative, senator or the vice president as part of the application process. Parents and students interested in the nomination process will find more information at castor.house.gov. Castor will announce official appointments at a later date after being notified by the academies. Today’s announcement completes Castor’s 2018 competitive nomination process and nominated students who receive an appointment from a U.S. military academy will attend beginning in the 2019-2020 school year.